Recently while running a half marathon in Gurgaon, I overheard a conversation between the girls running in front of me. ‘Hey, do you think this #MeToo will really bring a change or is it just a publicity stunt to show support for women? Earlier we thought these things are very small to discuss or are embarrassing enough to share, but these things really suppressed our souls since long! Read the Jwala Gutta story here. I was running at 5 km mark now. I reflected that it’s not just with some particular nation or developing nations, but it’s with the whole world that people in fitness, yoga, running, athletics etc. have been molested or sexually exploited by fellow athletes, masters, coaches, sponsors etc. Click here to read source to the picture below and the stories of prominent Yoga Teachers who have shared there #MeToo Yoga stories. It was 10 kms by now. I took coconut water from the water station, I reflected more on the past cases, how #MeToo campaign moved from Revelations to Policy, how this creation of Tarana Burke raised awareness of sexual violence experienced through personal testimony. A Chinese runner crossed me at 15 kms. I remembered Lui Lai-yiu, a hurdler who won Hong Kong’s first gold medal in the Asian Indoor Games, expressed that she was assaulted 10 years ago by her mentor. In a statement on Facebook, she mentioned “He asked me if my muscles were tense after my exercise last week, and said he could give me a massage to relax my muscles and asked me to come home” and she didn’t mention this incident for years. American gymnast Dantzscher gave up her anonymity for “60 Minutes” too, and described how she was sent to visit Nassar to receive treatment for lower back pain. 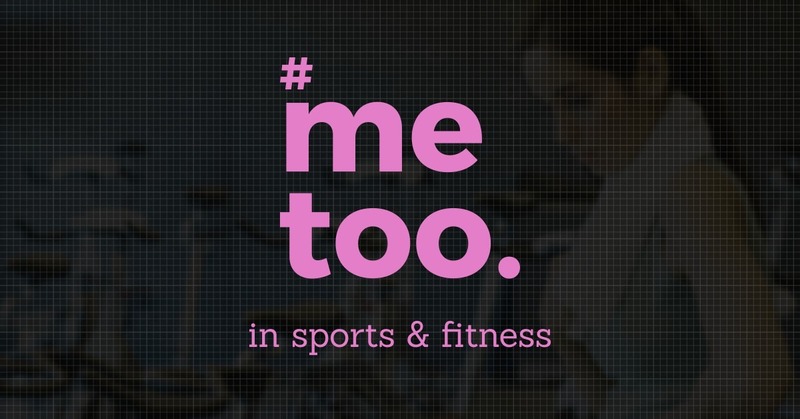 So far, more than 140 women, including athletes, runners and in other fields related to health and fitness; who competed at the highest levels, have accused their mentors/coaches of touching them inappropriately during medical appointments or fitness training. In many other sports, say swimming, judo, basketball, marathons etc. there are more women, more names who have suffered in their events. Recently when a girl accused an athlete of molesting and attempting to kiss her in a train few years back , the whole family of the boy including the mother was behind her life to get the post removed, just because her son is a famous athlete now! Nobody supported the young girl who knew the dark side of this athlete and after so many years got the courage to speak about it. Why Indian women get selfish when it comes to saving their sons or brothers? Well, the thoughts continued popping up in my mind looking at every runner crossing me. I connected few incidents from my childhood and I was thinking, at 18 kms point now. Why if there is a position of power, people find a potential for abuse and exploitation? Is it possible for survivors to speak their heart out, without putting careers and dreams in jeopardy? I agree that some women might have misused this #MeToo movement but overall this has given an opportunity to women who have suffered to speak up. Silence is exactly what abusers were counting on. They can’t count on it anymore. It was 20kms by now. I was sweating badly – more out of aggression and less because of the marathon sweat. I could see the clear sun by now, expecting the sun rising in the direction of mental and soulful freedom of our minds! As I end this blogpost, I want to leave you with this article I had written couple of years back that triggered on overhearing a conversation between two male runners. The struggle is real and will last long – so long, don’t give up on your voice. That’s a very powerful and thought provoking post. Very well written!! !